The babe is here and I’m on maternity leave. Mostly this leaves me with not a lot of time to do things – my hours are taken up with nursing, laundry, napping, trying to entertain two kids, and showering (if I’m lucky!). But that leaves me a surprising amount of time to think while my body is otherwise engaged. Part of what I’ve been thinking about a style shift: what exactly I’m gravitating towards these days (vs. what I’ve always done) and how to incorporate it in into my wardrobe, particularly given that my body is still changing, I don’t have a ton of time to thrift (yet), and I’d like to pare down to even fewer, but more beloved, pieces. Here’s what I’ve been chewing on during maternity leave as I mull over all of this. Hopefully you’ll find some of it interesting food for thought as well! KonMari’s tidying makeover show is exactly my kind of reality TV. In a similar vein with the Great British Bakeoff and Queer Eye, Tidying Up is a feel-good show that makes you want to root for the protagonists, even as they struggle along the way to change their relationship to their stuff. But unlike GBBO and Queer Eye, which focus on baking (NOT my strong suit – I always ruin cookies) and whole-life makeovers (ain’t got the time, interest, or money), Tidying Up gave me an inspiring boost to do something similar in my own life. As I’m usually either nursing, playing dinosaurs, or shoveling laundry into the dryer, that boost has so far led to mental evaluation of my wardrobe, not physical cleanout. But just wait ’til the kids are both sleeping at the same time (and I’ve finished a 20 minute nap) – I’m comin’ for ya, closet! I received some extra money at the end of the year and decided to use it to pay the early bird registration fee for Shira Gill’s Closet Makeover program (it was just under $200; now it’s $249). For a blogger billing myself as “building a stylishly edited closet from thrift store finds” – emphasis on the edited – I could see myself feeling a bit embarrassed to be paying someone else to help me sort through my closet. But I don’t – because the at-your-own pace program feels like a fun way to do something entirely non-work focused with my time away, another way I can be using my brain creatively while loading the dishwasher (again). I’m also looking forward to the live Q&A calls (for which you can post questions ahead of time and which you can watch afterwards, another great flexibility for someone who doesn’t know what time her newborn will be up or asleep) and to the Facebook community because if I love anything more than organizing/editing my own closet, it’s watching other people edit/organize their closets (which is why I so enjoy watching Marie Kondo in action). It’s just so…satisfying for the part of me that feels refreshed by clean, lovely, bright spaces. Shira’s styling aesthetic (featured prominently on her website and Instagram) also checks that box for me and adds to the appeal of the course. I’ll let you know how it goes. In the completely free category, I checked out the e-book version of Women in Clothes from my local library. (Thank you Overdrive!) When Kelly of Alterations Needed mentioned it on her Instagram account, it sounded like an intriguing anthropological glimpse into women’s lives and relationship to their clothes – and indeed, it is. The authors asked women from all over and with many different backgrounds a series of questions, and as I read through them I’m starting to ask myself the same questions and find some intriguing answers that are helping to shape my style shift. If you like reading style profiles, particularly ones that are savvy about issues of race, gender, and culture, I highly recommend it. “Curate rather than shop” really sticks out to me – having a vision instead of just grazing is an excellent way to approach thrifting or an edited closet – as does the idea of visceral beauty (like when you find a signature piece that’s outside your usual style but just sings to you). What have you been reading/watching/going through lately? Anything to recommend? It’s been a minute since our last Friday ReBlog, a spotlight on articles/posts/podcasts I’ve recently found interesting. This week I’m sharing some good minimalism-related reads and listens I came across while recharging my enthusiasm for keeping my stuff to a dull roar. First up, here’s a fun read on the principles of psychological economics behind Marie Kondo’s The Life-Changing Magic of Tidying Up. The article puts some words on phenomena we’ve all experienced – like finding it a lot harder to give something away once we’ve let it live in our closet/house/bookshelf for awhile. Next, here’s a few tips on really paring down in order to live in a smaller space – and some amazing pics of a family of 5 who live in a converted RV: Living simply, going tiny. These two Brooke Castillo podcast interviews with Shira Gill (episode 216 and episode 217) are short and sweet bursts of inspiration for decluttering. Shira’s approach is basically the opposite of Marie Kondo’s massive tidying spree (while also overlapping in some ways). Some of my favorite parts were the discussion about how much mental space clears up when you don’t have to manage excess stuff; the glory of empty drawers; and consuming as a way to numb our feelings. PS Shira’s blog is full of great decluttering ideas, too. Last but not least, pop some popcorn for this excess-to-edited account of a closet purge of astounding magnitude. I’d wager most of us have never spent $25,000 on clothes in one year, but if you’ve ever bought something to soothe some unprocessed emotion, you’ll relate. I think where the impact lies in this great insight is not avoiding a cleanout when you’re happy with your wardrobe, but defining your “personal something” when you’re unhappy with your closet but don’t know why. No one wants to spend a lot of time and effort decluttering according to someone else’s rules or approach only to still be unsatisfied with the results! Take a few minutes to write down (or talk through, or Pinterest, depending on your style of learning) what you’d like to achieve from a closet makeover: a consistent color palette, a style refresh, to end up with only clothes you thrill to wear, etc. An undershirt I thrifted at one point comes to mind. No one was ever going to see it, since it was designed to be worn as a base layer. But it was made of the softest Pima cotton, and it felt luxurious every time I put it on. My point isn’t to be dissatisfied with your wardrobe if your really practical pieces don’t “spark joy,” but to encourage you not to settle if you feel rather “blah” about a practical piece – it’s scratchy, worn out, cheap, doesn’t fit quite right… There’s likely an alternative out there just waiting to be thrifted that will give you, if not joy, a little more pleasure when getting dressed. What are your thoughts on making sure you have figured out your raison d’être before decluttering, or about having your mundane pieces “spark joy”? Scroll down to comment! It’s Thursday, yes, but I’m posting my Ireland packing list tomorrow so you get a “Friday” ReBlog today. Second, Adina at Blue Collar Red Lipstick waxes eloquent on wearing only the crème de la crème of her wardrobe and how she’s moving from a wardrobe full of 7s out of 10 that worked just fine to 10s all the way. (She now says she gets the Marie Kondo “spark joy” thing.) While I’m not holding on to so-so work horses in the same way she was, I am holding on to some “meh” pieces that I just don’t wear/like because they are interesting/unique/good quality. Great inspiration if you’re looking to really go for the gold, wardrobe-wise. What are your thoughts on making a wardrobe out of 10s and dressing as a grown up? Scroll down to comment! Ya might be sick of my wardrobe capsule shenanigans by now (original here; updates here, here, and here). Since it was my first capsule wardrobe, it’s not surprising it took some tweaking to get it right (see those 3 updates above!). When all was said and done I decided to just keep what I thrill to put on. Which was sort of the point in the first place. At least I got there in the end! In honor of the World Series…Congratulations Royals!!! Ours is a baseball family–our kid’s first baseball game was at 6 weeks (unless you count the one in utero…) and we all own hats and t-shirts of our respective teams. We follow the Red Sox and the Cubs (gluttons for punishment, anyone?) and enjoy games live, on tv, on the radio, on our phones…there’s something special about the steady rhythm of pitches, at bats, and innings punctuated by the excitement of incredible sporting moments and the magic of beating long odds (see: Red Sox 2004, 2007, 2013 and Cubbies…well, next year?? Wanh wannnnnh). What does this have to do with thrifting? Normally nothing (other than that my and my kid’s Red Sox outfits were both thrifted. My spouse is very jealous of this). But a few weeks ago, while watching the Cubs face off against the Cards, the Spouse was talking about the sunk costs of investing in certain players and then feeling like you have to hold on to them even if they’re not doing well, because you already spent a bazillion dollars on their contract. 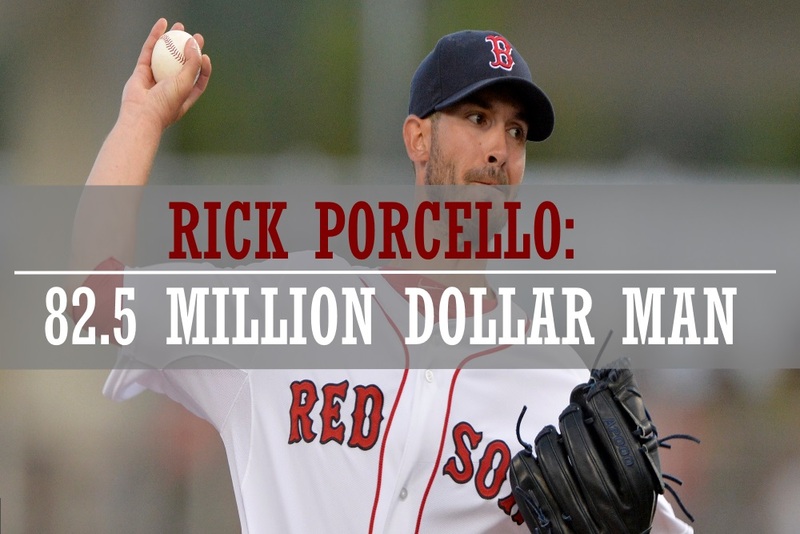 Rick Porcello’s 4-year, $82.5 million contract extension—partly responsible for Jon Lester now playing for the Cubs—comes to mind. And then he said, “You should write a post about sunk costs. With thrifting.” When I asked for more, he said, “You know, if I bought a $7 pair of pants and they’re not quite right for me, I’ll still hold onto them because I paid $7 for them.” He then reflected that this might be a principle that applies more concretely to shopping in general (e.g. if you spent $70 on some pants you’d be MUCH more likely not to give them away…), but since we mostly thrift in our house, $7 was his frame of reference. If you’ve already invested money in something—whether $7, $70, or $170—you’ll be tempted to hold on to that item because it makes you feel like your money is still WORTH something. But here’s the truth: if ya ain’t wearin’ it, it’s got zero value for ya anyway! Don’t throw good closet space after bad. List an item you don’t love but are hanging on to for sunk-cost reasons on eBay, ThredUp, or at a consignment store to recover part of that value. Or, use it to create new emotional value for yourself by passing it to a friend whom you know will love it or donating it so that someone else can love it. Marie Kondo‘s thoughts on this are very helpful in this process: thank a piece for teaching you something (I don’t actually wear that color/style/type of garment; I already have/am enough; I live a different lifestyle than the one in my head…), then free it to go make another thrifter happy. Have you ever had trouble letting go of something that wasn’t right for you because you paid so much for it? Does this way of thinking about clothing investments help free you up to let things go? Scroll down to comment!